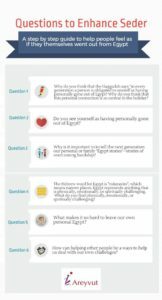 As we prepare for the Pesach (Passover) we are pleased to present these questions to enhance your seder. We hope they help you and your family feel as if you went of Egypt. 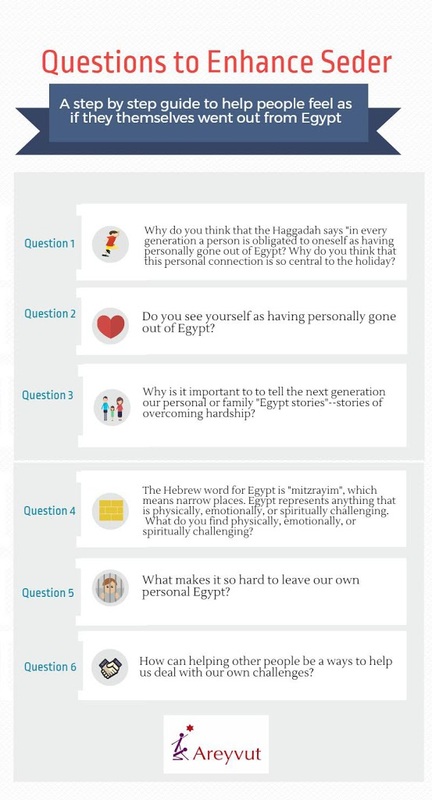 In the event that you see this and it is past the seder and/or not even still Pesach please still use these questions to discuss important and relevant issues with your family and friends.